Chuckle all you want, ....our day of reckoning is drawing near ! Neck fits well; But shows body's neck mounting screw holes need shim-filling-tightening, which will be done before final set-up. Cut 2"x2" blocks about 12" long. Wrap them in wax paper and tape it on with masking tape. 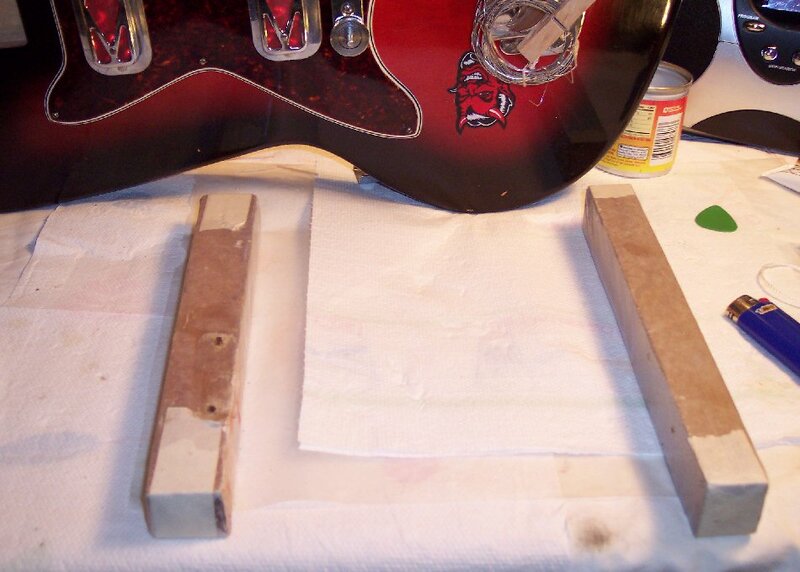 Set the guitar up on it's side to determine how the blocks should be laid to elevate top parts off of the work bench. 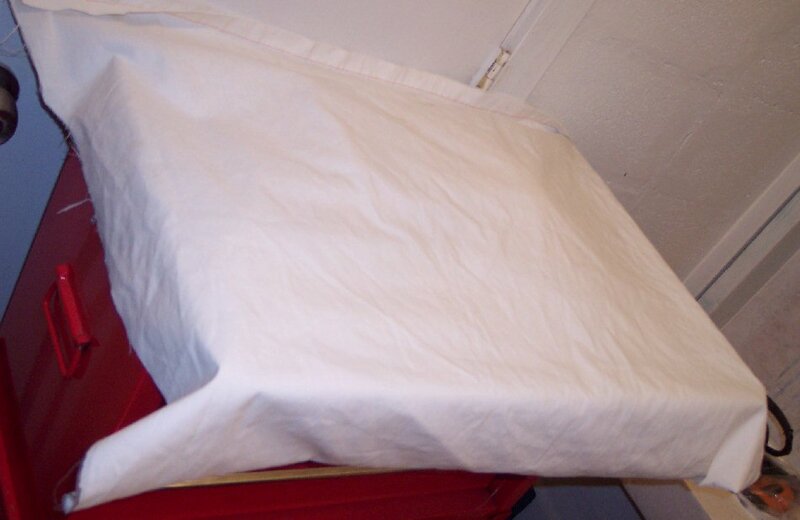 If the top of the guitar is arched then rolled up bath cloths or towels can be added to the ends of the blocks for support. If the work on a guitar of any type is going to be forceful, then it's a good idea to use rolled up wash clothes, towels, T-shirts, etc. 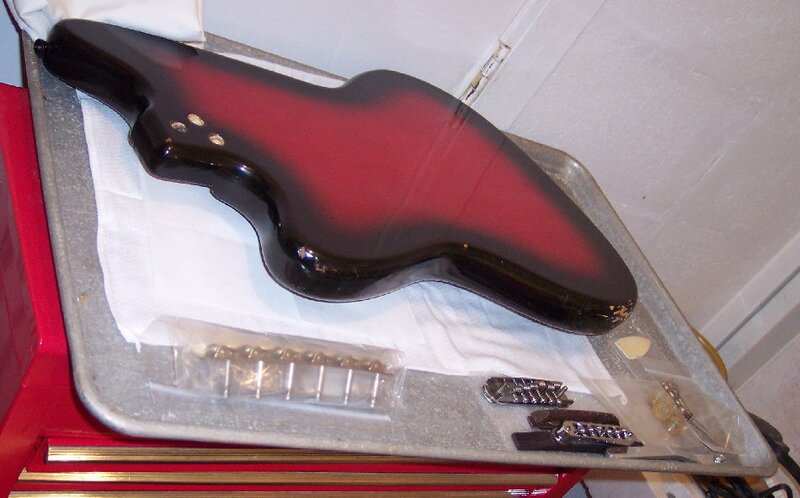 to protect the guitar. 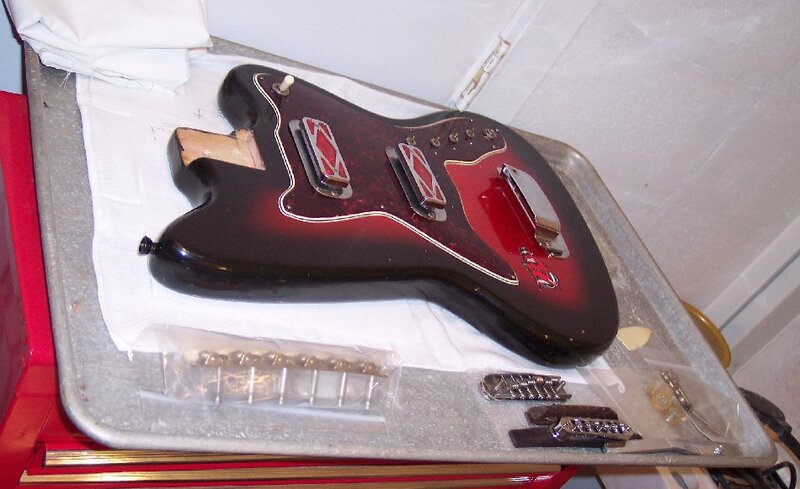 Carefully lay the guitar down on the blocks making sure the parts meant to be held off of the work bench are being protected and that the blocks are clear of damaging any part.